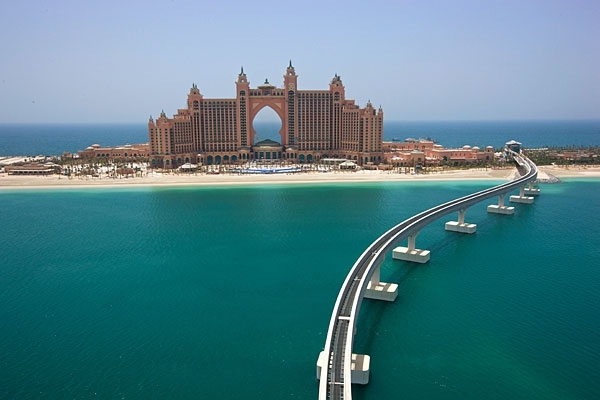 Palm Jumeirah is the first and the only palm island completed. There are two other palm islands planned: Palm Jebel Ali and Palm Deira which have both been put on hold. The Palm Jumeirah is fully developed and operational. Around the world, the Palm Jumeirah has become a symbol of Dubai's incredible innovation, luxury and ambition. The man-made island stretches into the Arabian Gulf in the shape of a palm tree and consists of a trunk, a crown with 16 fronds, and a surrounding crescent island that forms an 11 kilometre long breakwater. The island’s total area is estimated to be larger than 800 football pitches and is considered the world’s largest artificial island. The island features beachfront properties, including waterfront apartments, villas, restaurants and hotels, all with spectacular views of the sea. The residential areas are located on the trunk and fronds of the island while hotels are located on the breakwater that surrounds The Palm. The breakwater is accessible through an underwater tunnel or the monorail. 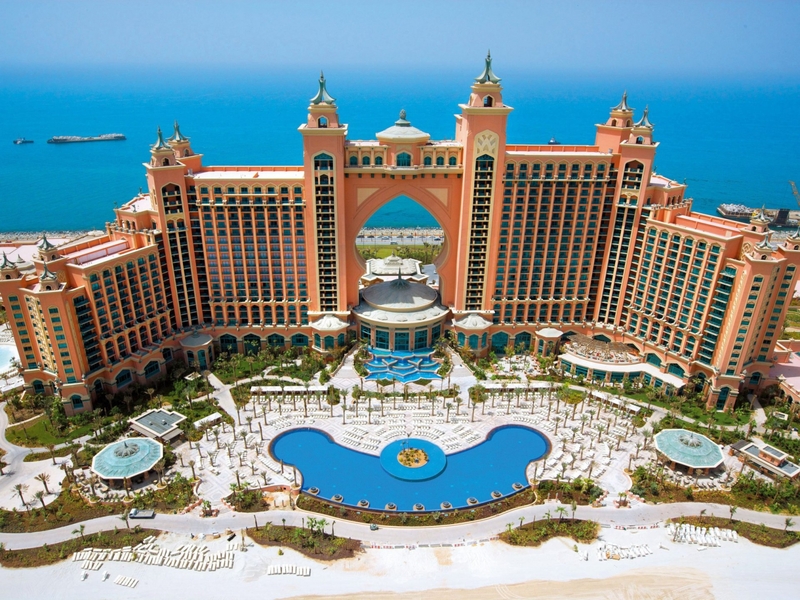 Some of the hotels on The Palm include: Atlantis, The Palm, Jumeirah Zabeel Saray, Kempinski Hotel & Residences, Palm Jumeirah, One & Only, The Palm, and Rixos The Palm. The island can be accessed by car or via a monorail that ferries commuters and visitors from the mainland all the way to the Atlantis. Monorail tickets cost AED 15 one way or AED 25 for a round trip.